Hot Chillys is a winter sport apparel company with California roots and a brand expression that stretches from the Sierra mountains of northern California to the beaches of southern Baja, Mexico. 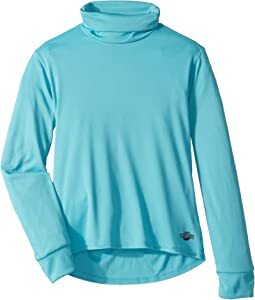 They are the one of the top base layers in winter sport. Basically, they make technically superior long underwear for anyone who likes to have a good time. Hot Chillys has been engineering the highest-quality base layers for adventurous men and women since 1986. 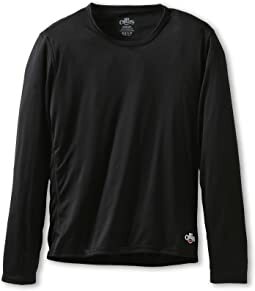 Hot Chillys offers collections of light-to-heavyweight base layers for ultimate comfort and protection from the elements. 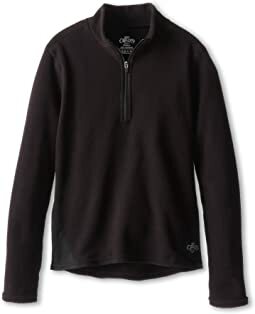 Today, the Hot Chillys product line consists of a wide variety of base layers, socks and fleece products. All with one thing in common, to keep you warm, dry, comfortable and looking good so you can focus on whatever activity makes you happy. Hot Chillys doesn’t want to change your world, they just want to change your underwear! 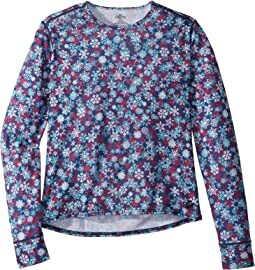 A very soft fabric and precious pattern, but they were extremely loose with a very long rise and cut for a larger body than my child. These would be great for an overweight child? who wants super cute pajamas. While very attractive, this top was too loose and the dimensions were off to fit my tall and slim young daughter. Loverly color and very soft. Better for a child who prefers a loose fit?. Fit well, kept my son warm in the slopes and washes well. These pants are REALLY thin and you can see underwear through the pants. These are the best and warmest. 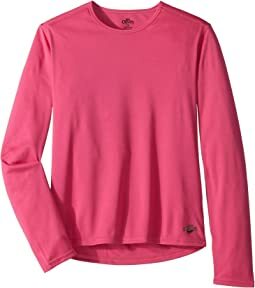 My 5 year old uses them as a base layer when he goes fly fishing with my husband in Fall and whenever or wherever it’s cold. The material was so thin!!! It did little in keeping my little guy warm in the cold weather. My son loves these - silky soft with no labels tags. Bought for camping and now he wears them for PJs as well. He is now 4feet 7 inches and 68 pounds, thin, and the M/M kids fit him perfectly. Highly recommend. The material is very comfortable and the quality is great. A little expensive but is a great product! 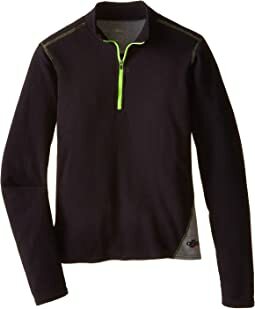 These are fairly thin, but make a nice base layer for winter sports. My daughter never complains about being cold with these on. These are a great base layer pant. They are thicker but will be great under ski pants for warmth and not bulky. 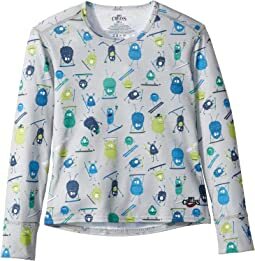 Purchased these as pajamas for our son at camp, and they work great. He was warm and they held up. I wouldn't think they'd be comfortable as an under layer as they are rather thick. 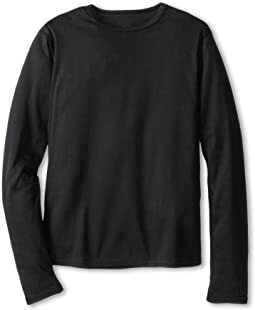 This is the perfect base layer! Thin and warm! Hot Chillys are great! I recommend ordering one size larger though. My boys are thin/average size and they wear a Large, which is supposed to fit a 12-14 year-old. We love Hot Chillys and buy them almost every year for snowboarding trips. My only complaint is that the sizing is wrong. 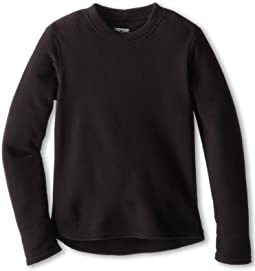 My thin twin 10 year-old boys fit a Large which says is supposed to be for 12-14 year olds. Got the surf day/black for my 9 year old in the Medium (8-10). He is extremely thin so I was worried about the waist. They were fine, but they do have plenty of stretch if you need that. My son is a very thin 9 year old and the size Medium (8-10) fit him fine. It seems a little small at first but that is how these are suppose to fit. He loves these to wear under his ski gear. 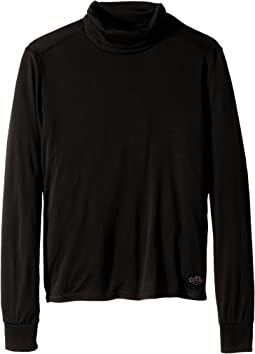 soft, seems to keep my son warm and he loves it, but sadly after only one wear and one wash on delicate cycle it looks like it's endured daily wear for about a year. This is a great basic bottom layer! Got this top for my 7 year old daughter. Using it for skiing and outdoor play. She says "she likes it. 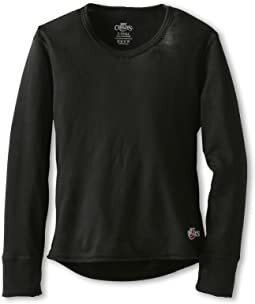 It's comfortable and doesn't itch" it's a nice lightweight breathable base layer. The sleeves are a good length. My daughter has a long torso so it would be nice if It were just an inch or two longer. But for the average build the length would be fine. 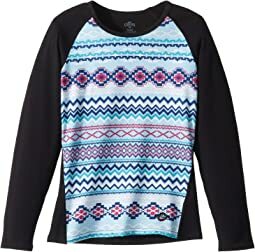 The colors and design are fun and match lots of different snow pants and jackets. I also got the smaller size and pants for my little one too. Very good! Just perfect for my little guy under his jeans in the snow. We're Southern California people who some how ended up in whistler during a cold snap that made the temperature drop to 8 degrees. Boy, was I glad I'd packed these for my three year old who wore them daily without complaint.